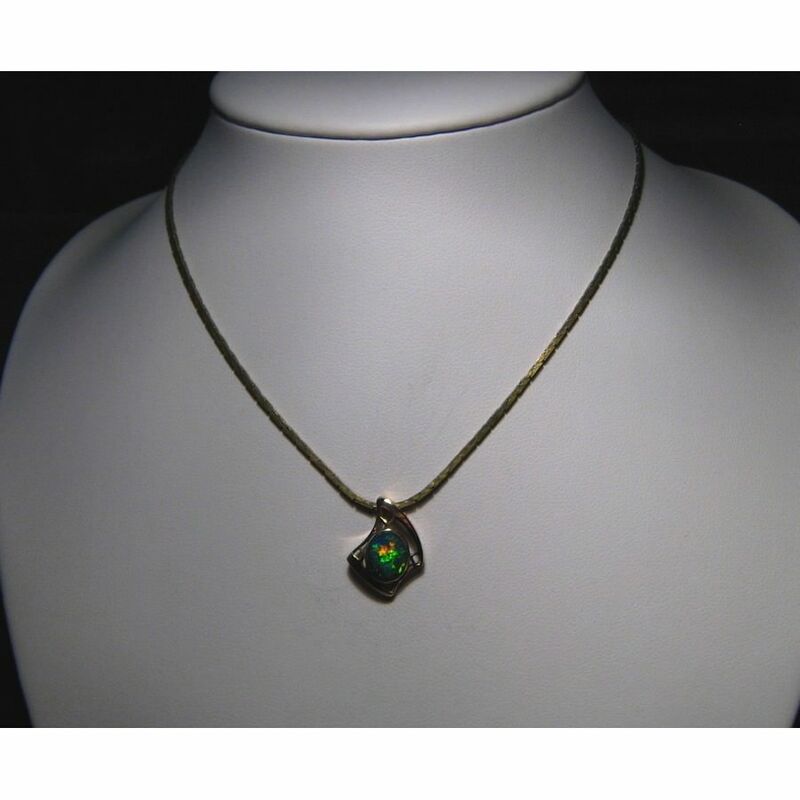 An Opal pendant in 14k Yellow Gold inlaid with very bright and colorful Opal. 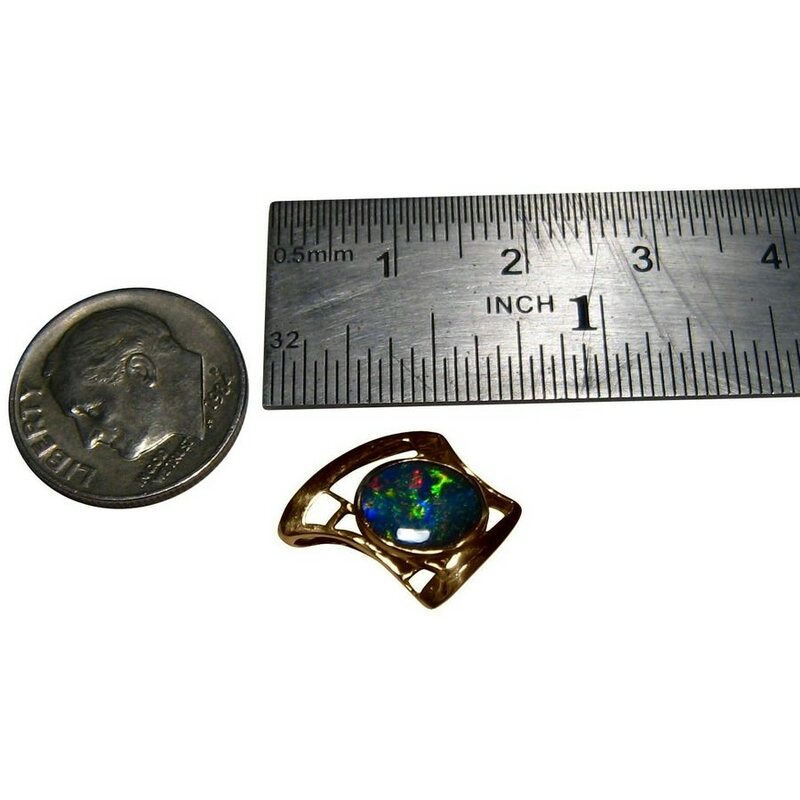 This Opal pendant is a fancy 14k Yellow Gold setting inlaid with a fabulous Opal. 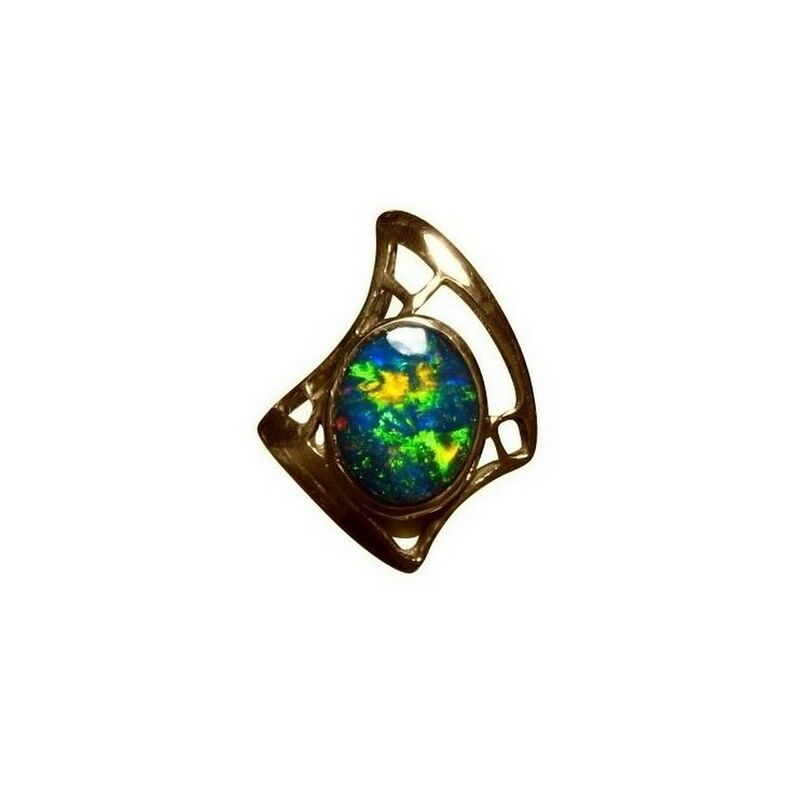 The oval oval Black Crystal Opal from Lightning Ridge flashes a fiery mix of colors that are lively and stand out against the Yellow Gold. 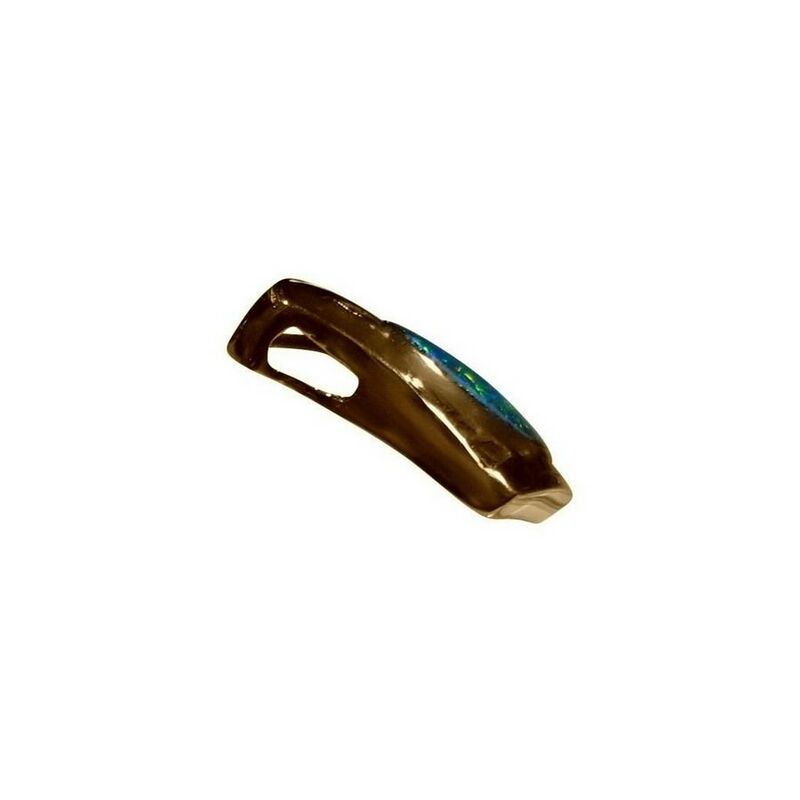 The video below show the play of color and high shine of Gold that the images are unable to portray which is explained in the article on Photography. This vibrant Opal pendant is ready to ship now but does not include a chain.